What have I been doing since last time we chatted? Well, first, I got a promotion! Why, yes, I am a PUBLIC RELATIONS DIRECTOR now, thank you for asking. 😉 I’m still with the same company, but taking on my responsibilities, which is really cool. 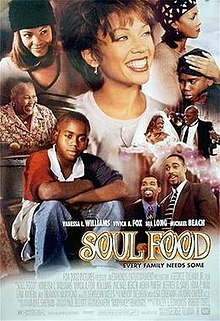 Then, I watched this movie in honor of MLK Day. And, ohmigod, you guys, did I mention that I went to THIS show?? Let’s see….what else? I’ve done about 17 million JL things already in 2011, and still have eleventy-billion more to go. (this is not interesting enough to merit a picture). I learned a new dice game at my friend K-Sizzle’s game night. This brings my total of dice games to two. The other is Yahtzee. And I’m thinking about starting a game night club to complement the book club. Ahhh….I know ….best thing ever – I finally got my computer! FINALLY! It’s giant, though. I thought I was getting the same size as Ducks has, but I accidentally ordered one that’s bigger. It’s actually a really good size for watching videos, but may end up being really heavy to carry around. I guess it’s a good thing that I am so busy I barely have time to look at the computer, much less get all cozy with my new laptop in a coffee shop somewhere. This entry was posted in Good, Good News, Work and tagged books, happenings, life, update. Bookmark the permalink. WOW! Congrats. SO HAPPY FOR YOU! and while a little cheesy, it was an interesting story. Congrats on the promotion! Glad things worked have worked out well on the career front. I saw a snippet of the Percy Jackson movie on a plane ride – hmm time to really read it then now! Yay! That’s great news about your new job. Congratulations on the promotion!! That is seriously awesome!! Oh, and I can’t wait for your book list/recommendations. Yes, that means you have to do it!! I’m trying hard to fit more reading in with school and work, so I need some good suggestions. Hurray for the promotion!! YAYA!!! !